First, Nestlé hung its bloggers out to dry, leaving them to deal – very, very badly – with the PR disaster they co-created. 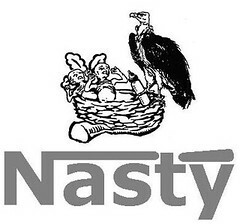 Nestlé then changed its tune and decided to join twitter. Having invited questions on twitter and claimed to be conducting an open session, ignored questions, pointed to advertising material as “answers”, and lied, @nestlefamily has just pulled out and decided that they’d no longer like to receive public questions at all. They now request that people email them. Seeking to turn the tide of public opinion in its favour and save a brand that has been savaged by the power of social media activism, the company invited 20 of the most influential parenting bloggers to its US headquarters for a two-day all-expenses-paid meeting with Nestle’s chief executive officer. The event, putting Nestle’s side of the story, ran from September 30 until October 1 and the company even sent free steaks to the women’s homes, purportedly to feed the men of the house while the mummy bloggers were on the Nestle junket. Responding to the #nestlefamily Twitter storm, Nestle Australia’s corporate affairs manager, Fran Hernon, said the reactions were biased and “predictable”. You wish, Ms Hernon, you wish. How about you drop the disrespect and join in the rational discussion by answering – directly and without any obfuscation, evasion, or spin – the questions posed by PhD In Parenting here? Meanwhile, if you’re not boycotting Nestlé already, how about joining in That Danielle and Blacktating’s #BooNestle Nestlé free week at the end of October? Here is a list of Australian brands to boycott. ‹ Why the stalling on abortion law reform? Ugh. Yeah, that’s it. Biased and irrational. Don’t bother actually engaging, just deflect and hope the world won’t notice. Grr. the company even sent free steaks to the women’s homes, purportedly to feed the men of the house while the mummy bloggers were on the Nestle junket. Christ on a cracker, what a giant bucket of FAIL this company is. I honestly had no idea. It is hardly irrational to tell the truth about what a horrible company it is. People have a right to know what they are consuming and how its production effects others. profit is not more valuable that human lives. If anything it is corporations and capitalism that is irrational. Yes, I do love the idea that disagree with Nestle’s spin is somehow displaying “bias” – as opposed to agreeing with them, which is clearly rational and based in logical. A refreshing change to see the comments on the Moses article are anti-Nestle. Only 5 so far but still. .-= Amanda´s last blog ..A Woman and Her Piano =-. Thanks for the heads up, but you’ve reminded me why I don’t read much traditional news. The language, the bias, aaaaaaargh! I only just read the full Herald article. What sloppy journalism. I think someone forgot to explain to Asher Moses that neutral doesn’t mean that both sides could be right. Also more of that quirk you’ve noted many times here, that MSM journalists have no idea how to quote and attribute source material from the blogosphere. Until HHL’s link, above, I didn’t realise this guy has a history. The question is: why does he have a job? What can we say? We’re biased against shitheads.